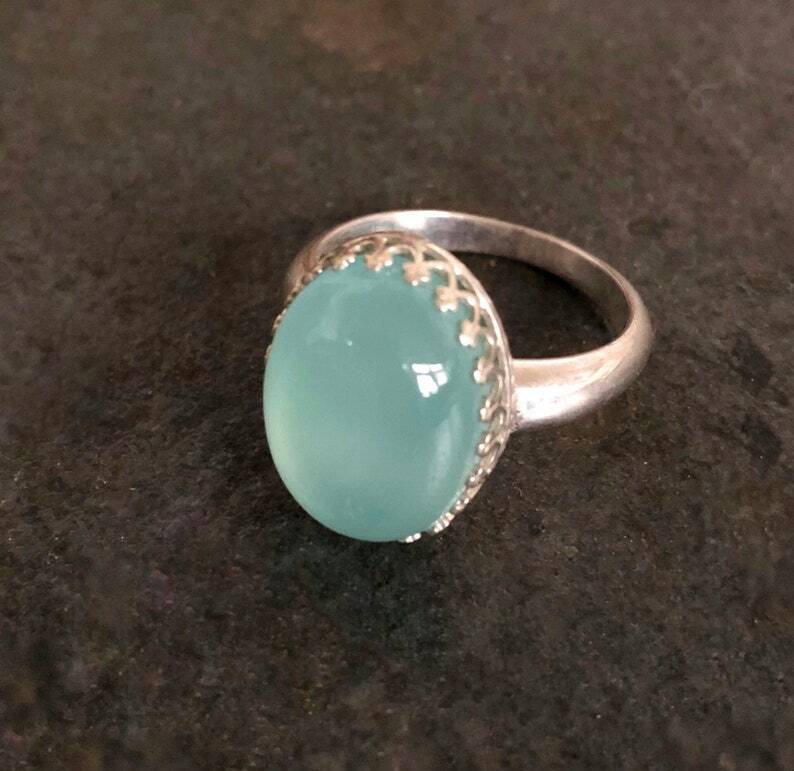 A sterling silver band with gallery bezel setting holds a beautiful oval 12 x 18mm high dome, luminous Caribbean Blue chalcedony cabochon. This eye-catching ring is available as either a size 6 or 7 - please indicate your choice at checkout. This ring cannot be resized.